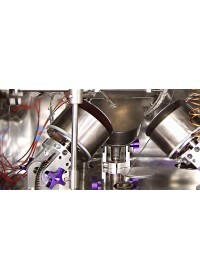 Magnetron sputtering is a highly versatile technology for thin film deposition. 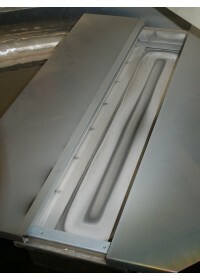 Running at typical pressures in the 5x10-3 mbar range and using Ar gas, it employs a glow discharge or plasma generated by a purpose-made high negative-voltage power supply to generate gas ions which bombard the surface of a ‘target’ of the coating material. Material is then \'sputtered\' from the target due to the impact of the Ar ions. Sputter deposition can be carried out using DC power supplies for metals and RF power supplies which can sputter metals and insulating targets such as silica. Although more expensive, RF sputtering can be used to deposit almost any material. Ar is used as the process gas because it is inert and relatively inexpensive, but gases such as O2 and N2 can be introduced to deliberately react with the sputtered material to deposit oxides and nitrides for example. 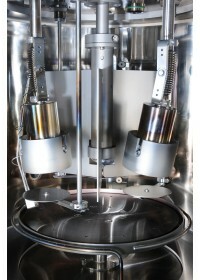 Additional techniques include pulsed DC sputtering for specific applications. HHV offers a full range of circular and linear magnetron sputter sources which are engineered to meet specific and stringent R&D and production requirements. It uses well proven designs providing ease of use, with excellent target utilization, deposited film uniformity and reliability.